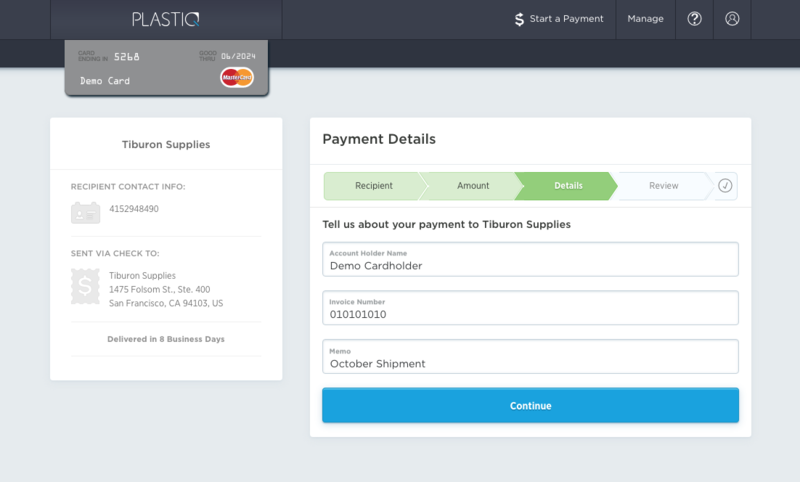 With Plastiq, you have the ability to make a one-time payment or schedule a series of payments for future dates. Below is a quick guide on how to make a single payment. Click on “Start a Payment” at the top of the screen. If you have added your recipient (who you want to pay) to your account, select the recipient in the list and click “Start Your Payment”. If not, select “Add New Recipient” and complete the steps. Enter the amount you would like to send your recipient. Then, select the date you would like your payment to arrive on. The dates shown are the earliest dates your payment can be delivered by, depending on how your recipient is funded (check, bank transfer, etc). If your payment is eligible for expedited delivery, dates will be shown with expedited delivery fees below the date. Next, choose how often the payment should repeat. You can select one-time, weekly, monthly or yearly. On the Payment Details screen, enter any information that will help the business credit the payment to your account. This could be your name, account number, phone number and/or memo (on a check). Add your preferred card to your account. Once validated, it will be saved to your account where you can add, edit and/or delete at any time. When you click continue, you will be taken to payment review where you can view all details regarding your payment. Should you need to update any information, click “Edit” next to the section. 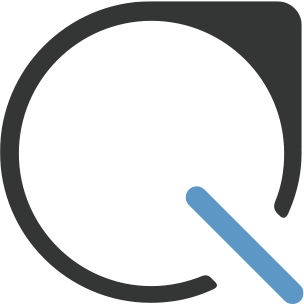 To review the Plastiq fee, click “Total Fee” and you will see a line-item breakdown. Click “Submit”. After submission, you will see confirmation of your payment and receive an email confirmation shortly after. 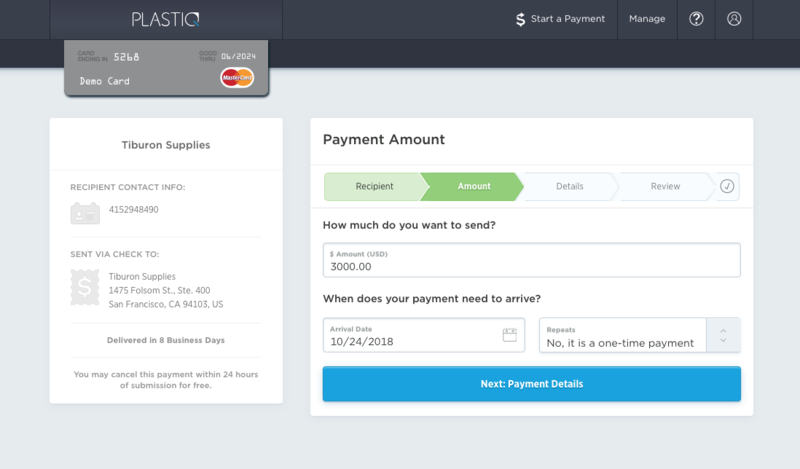 To review all of your Plastiq payments, click “Manage” and select “Manage Payments” in the top right corner.